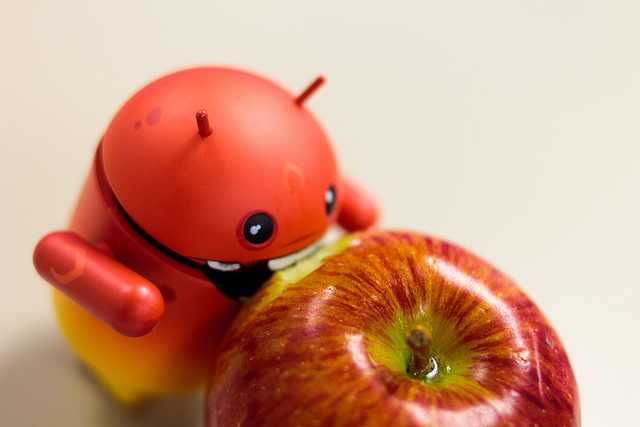 Android app development faces different challenges than iOS app development, but reaps the benefits of the Android infrastructure. But why can’t I just replicate my iOS app in Android? Do I really need to build a new app from the ground up? The answer to these questions is that the dev work doesn’t translate directly at all. Even the slightest perceivable difference in UI to the consumer takes a ton of development time. The difference in programming language means that developers cannot simply copy and paste assets between versions. It’s not that this approach is impractical, but in many instances is impossible. It’s also important to note the difference in markets. The type of app that succeeds in the App Store is not analogous to what will top the charts in Google Play. From that fateful day the App Store launched in 2008, the fundamentals of Android and iOS have been in direct competition with each other. Apple phones evolve at an incremental level. Every year’s new model (with the recent exception of the X) contains virtually the same feature set, with one new quirk or a horsepower upgrade. iOS apps have the convenience of knowing their platform is ubiquitous and scalable — an app designed for iPhone 7 will be able to run on the 8 as well as the 6. Apple’s dedication to their core tenants has led to sleek, touch-based designs. In 2008, Android phones didn’t have a modicum of ubiquity. Smartphones have become more ubiquitous in the recent years, but the gulf between Android and iPhone model variety is still wide. Android apps are built to work on dozens of models, some still using keyboards due to the main competitor for Android being Blackberry. This led to a new design focus on efficient interaction and navigability. Modern Android phones are now equipped with touch screens, but modern Android apps still prioritize efficiency and organization over sleek design. If app development was an exact science we’d all be Evan Spiegel. Unfortunately, that means there is no perfect time to officially “start” Android app development. The best way to forge ahead is to listen to your users and to the market. BstWeb’s recommended method is to asses your current apps product-market fit. If you have found a market your iOS app is currently satisfying, then you are likely in a good place to consider an Android port. Assessing this fit requires numerous rounds of user testing and gathering feedback. Do so until you have a user base that not only claims to love your product, but actually uses it. Inevitably they will stay, tell their friends and followers to join, and you will gain a steadily populating user base that is, ideally, pleased and invested. Which means at this point, you will start getting asked, “where is your Android app?” Now it is time to reanimate your iOS app. Walk around New York City or San Francisco and you’ll see iPhones on every street corner, subway stop and pizza joint. This may be your world, startup app developers, but you’d be making incorrect assumptions about the market. 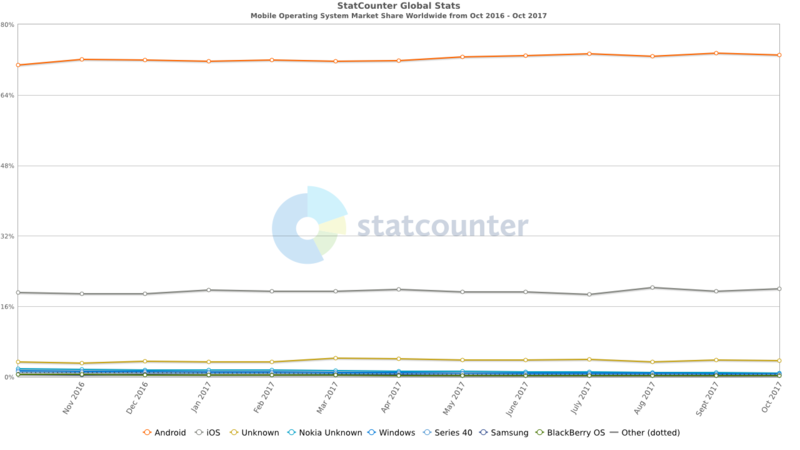 While Apple may be the predominant leader in terms of App Store revenue and hardware profit, Android phones reached peak market share of 88% worldwide last November, and consistently stay with the 70-80% range. In European and Asian countries where users speak multiple languages, Android caters more to their needs. Universally, and even in the U.S., Android phones are the more affordable option. Sure, the Galaxy and Pixels of the world exist, but there are plenty of budget friendly options when it comes to smartphones that can run the exact same Android apps without the added flair of the best camera on Earth. Another major advantage for users is Android’s Google integration. From Maps to Drive, all Google services data is readily available on your phone. This feels cohesive, where on iOS, the Google apps are separated and disjointed because they are not native to the platform. These are a few ways that an Android app can exponentially increase your user base, especially on an international scale. The majority market share of the Android market does not necessarily make the App Store a bad place for an app to live: it serves as a wonderful springboard for an initial launch and can ultimately lead to a great deal of profit. An iOS app gives you a storefront with the ability to reach a critical audience of early adopters. But if your end goal is to get your app in the hands of a worldwide audience, iOS will help you to iron out any kinks before you go global with Android.